← Operation Christmas Child: Collection Week Coming Up! I used to teach preschool and the “writing center” was actually a favorite center in the classroom and my preschoolers loved “writing” letters and “sending” them, making Christmas lists, and cutting out shapes along with a variety of other activities. That was one of my favorite areas in the classroom as well and I was constantly adding activities to it. When I was pregnant I told myself that I would do the same for my children to help them practice pre-writing skills but now that my children are preschool age and I’m working full-time I find that I just don’t have the time to create all those fun activities that I used to. 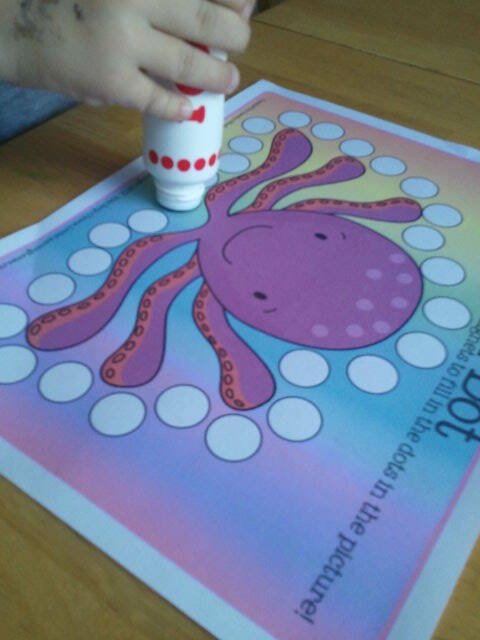 I thought the printables had really cute images and liked the variety I found in the pages. Even though there were multiple pages for each “skill”, they were all different from each other. Take tracing for example. 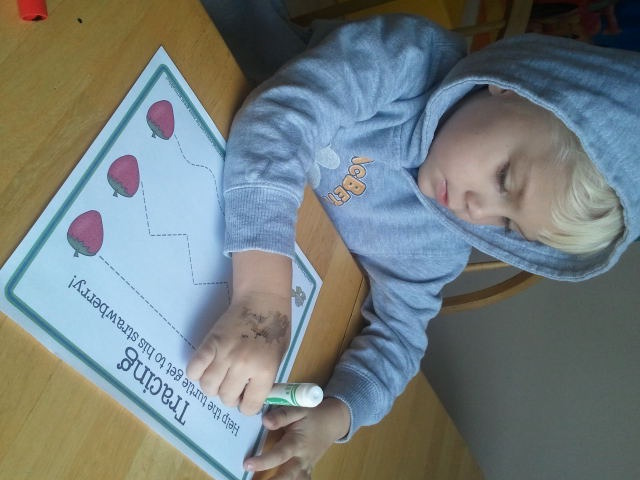 There are over 50 pages that have children practice tracing. They trace letters and shapes and draw lines helping butterflies get to flowers and squirrels to acorns. 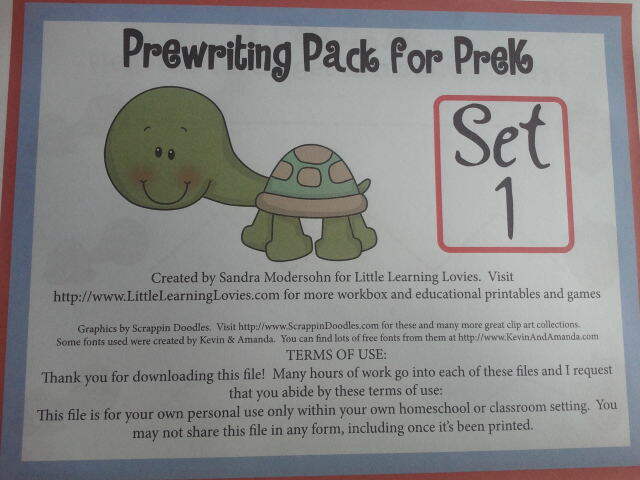 I got this set free in order to complete this review but the prices in the Little Learning Lovies store are very reasonable. She also creates items for older children. Some of the items she has in her store include file folder games, workbox tags, and math cards. One lucky reader will win a $50 credit to the Little Learning Lovies store! You can use the credit to purchase the printables of your choice! Giveaway ends November 24, 2012 at 11:59pm Central time. US 18+ only. The pr-writing super pack looks great! I like Little Learning Lovies on Facebook. I already like Making Time for Mom on FB. I like the whole alphabet acorns set. So cute! I bet there are many people like your store, because there are many good staffs for children to do or to learn. and back to school calendar number set. I already like on Little Learning Lovies. I already like on Making Time For Mommy on Facebook. My fave are the Mermaid Alphabet cards. I like Little Learning Lovies on fb. My favorite is the alphabet acorns set. Thanks for hosting! My favorite printable in Little Learning Lovies store is the Doodle Frame Alphabet Posters. I liked Little Learning Lovies on FB. i like the Pre-Writing Super Pack best.